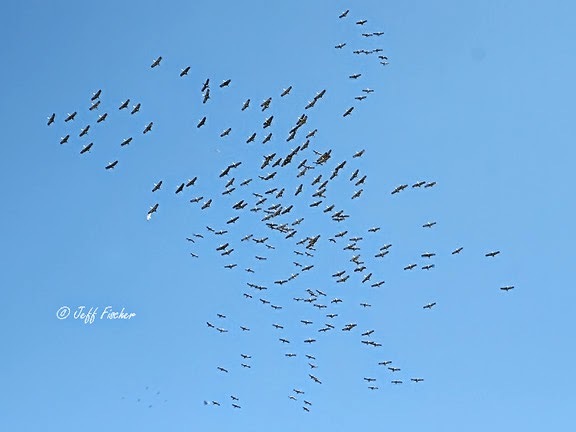 Each year thousands of sandhill cranes stop by the Platt River, in central Nebraska, to feed and rest during their spring migration north. WOW! So many. must have been a great sight to see. Have a great weekend. Such a great shot, and good of you to capture it just in time! Happy SWF! wonderful! reminds me of the flock of storks i once saw in south france (http://virtual-notes.blogspot.de/2013/09/sky-friday-never-seen-before.html). have a great sky week!